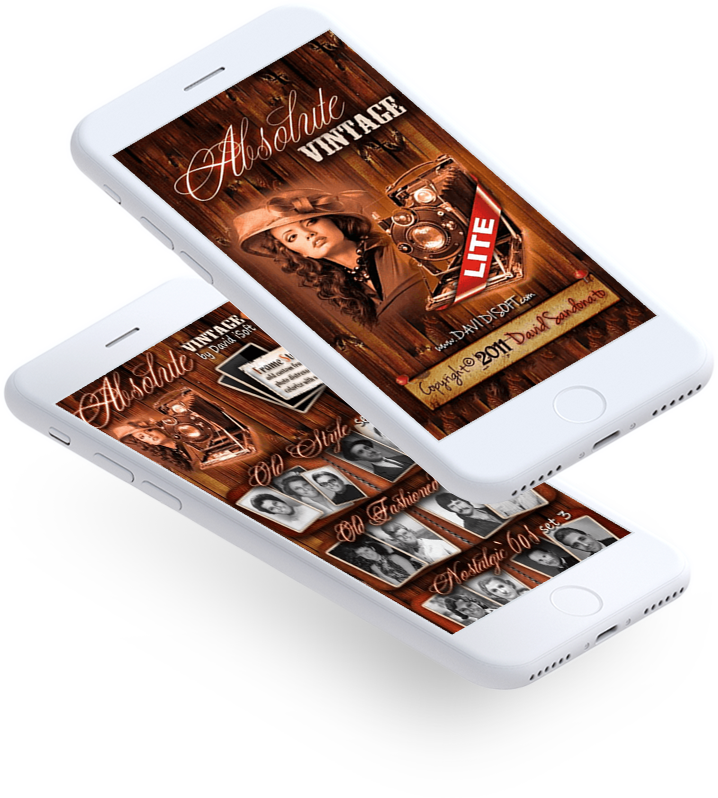 Absolute vintage Lite helps users create old vintage photos and share it among friends through Facebook and other social media sites.Users can create an old vintage photo from their or friend's faces and give it an absolute vintage look. 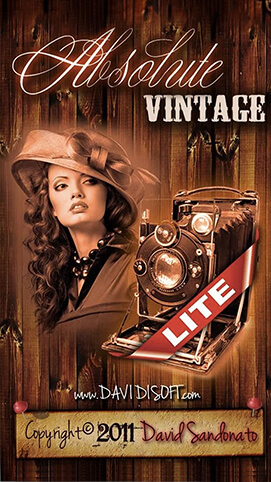 With Absolute Vintage Lite, users can choose an image from library, put their face to another body and can use it with props like glasses, cigarettes, old frames, etc., to make image a real vintage. 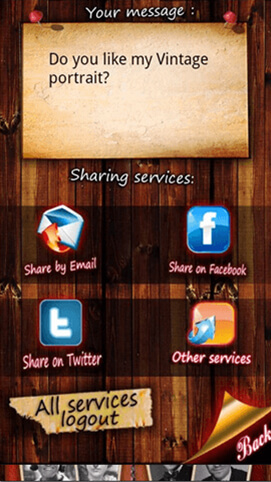 Users can save their phone, email the image with ease, or can directly upload it on Facebook or other social channels. Face Regulation optimized algorithms for brightness and contrast editing allows changing the view of photo.Users can find color of their face matching the mask color. 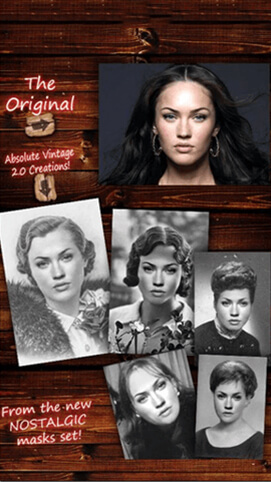 Users can find 75 masks for women and men each, and total 30 photo frames to make a vintage photo. 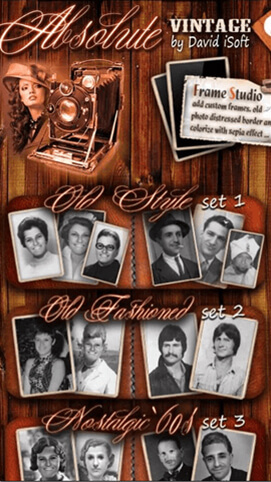 Users can get an absolute appearance of vintage image with 20 different accessories such as hat, eyeglasses, etc. 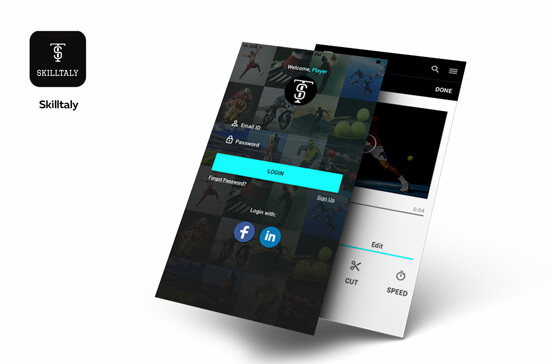 The mobile app allows users to adjust the face size and rotate it with use of 2 finger at the same time. 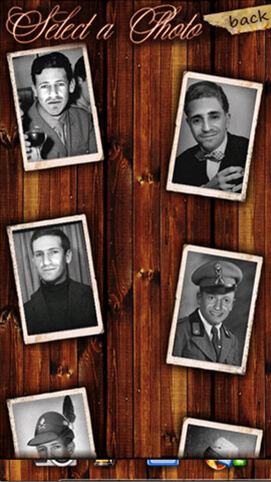 The app lets users save their final vintage image in a photo library. 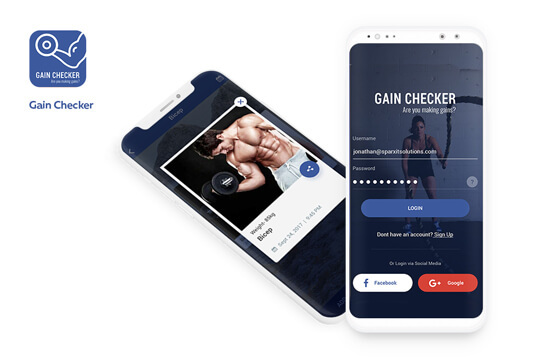 They can also send it through email or directly upload it on social media.